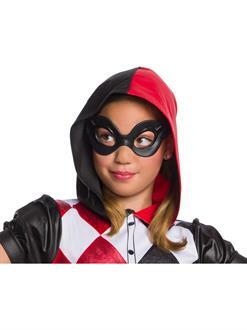 Be the center of attention when you wear this sensational Dc Super Hero Girls Harley Quinn Mask! You won’t be hiding behind your funny persona at all! Rather, your fun character will shine through this awesome Dc Super Hero Girls Harley Quinn Mask! Be spontaneous, just like Harley Quinn herself as soon as you put on this delightfully quirky Dc Super Hero Girls Harley Quinn Mask!